Mr. Chriss has a professional architectural background encompassing over thirty five years as the Principal Architect / owner of a successful firm which requires expertise in business development, construction administration, personnel management, and strategic planning. Born and raised in the Central Valley of California and educated in both California and Nevada, Mr. Chriss interned in both states and was licensed to practice architecture in 1982. He eventually moved to San Diego where he developed his own firm and has been providing service to the community ever since. Significant cliental includes Jazzercise World Headquarters, Titleist Golf, La Costa Hotel and Spa, and numerous other national and international entities. He has provided restoration architectural services for projects originally designed by such noted architects as Frank Lloyd Wright, Irving Gill and Charles Moore. 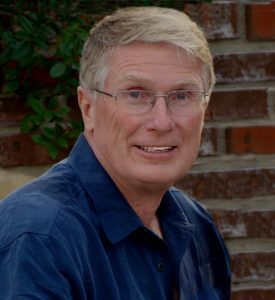 His work has been published in San Diego Magazine, the New York Times, numerous trade magazines and has received commendations and awards from the U.S. Navy, Metal Building Manufactures Association, Pacific Coast Builders Association and the Cities of San Diego and Oceanside Historical Societies. Mr. Chriss has served his community as chairman of numerous committees and organizations from the Chamber of Commerce to Redevelopment Commission and Harbor District and presently serves on the Architectural Advisory Board of Mira Costa College. Presently Mr. Chriss heads the firm of 4 Design Architecture and Planning based in Valley Center and serves as Past President and founding member of the Palomar Chapter of the American Institute of Architects.